Our bear hunting is exceptional. 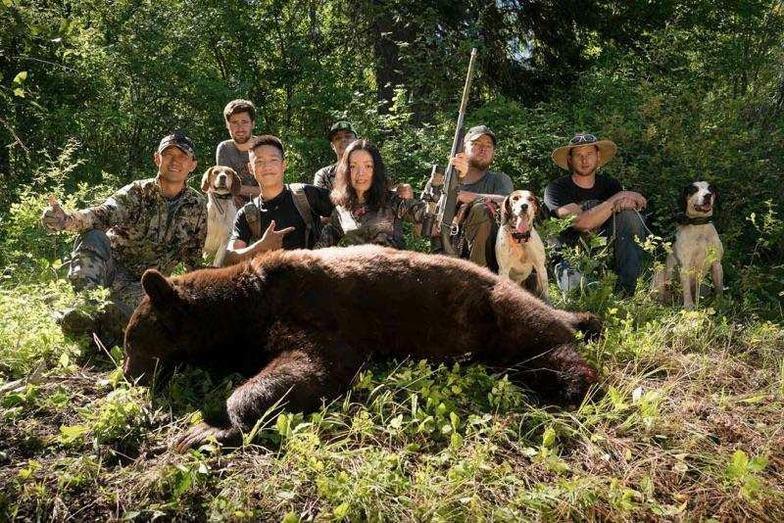 At Mountain View you get the opportunity to hunt world class bears on private land with no hunting pressure. We use ground blinds and ladder stands and always have several active bait sites. The Salmon River canyon holds an extremely high population of color phase bears; red, cinnamon, blonde, chocolate and everything in between. On top of this you will get a 6 night stay in a beautiful mountaintop lodge with private cabins and incredible home cooked meals. 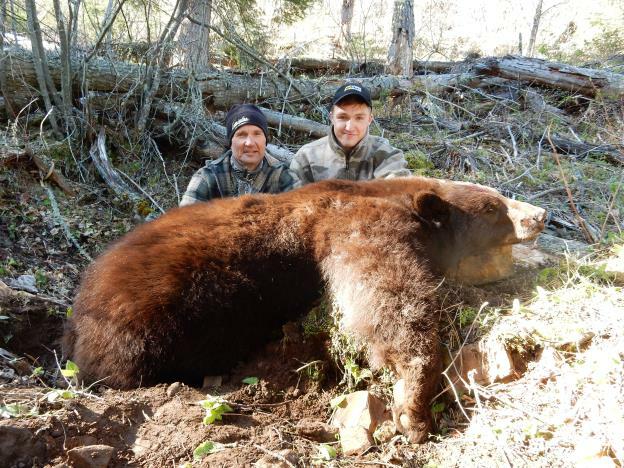 We hunt spring bears during the month of May and fall bears September through mid-October. We take a very limited number of hunters. 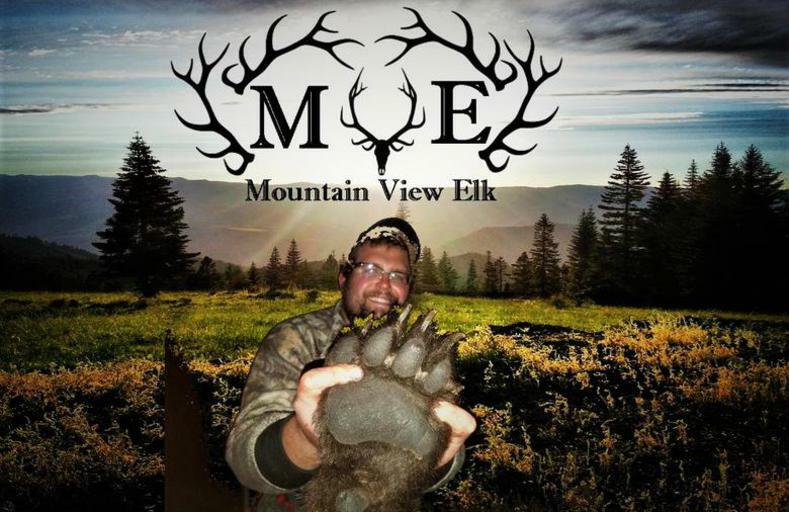 Fall hunts can also be combined with Elk and Deer. We offer a bait/hound hunt combination hunt where you will have the opportunity to run with the hounds in the morning and sit on baits in the evening. License and tags are sold over the counter and we will assist you in purchasing them. 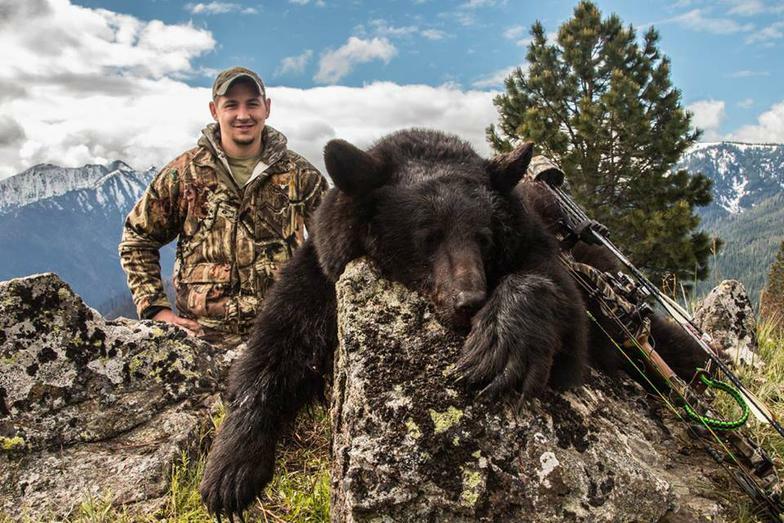 So join us at Mountain View for a world class bear hunt.